I love the Italian way of life. The food, the culture, the rolling vineyards, the history – everything about it seems to be the idyllic lifestyle. This may be a little romanticized of a view, but the time I’ve spent there gave me some of the most unforgettable memories. Plus, it made me want to explore the rest of the country on future visits. There are so many museums, galleries, ruins and temples to take a look around that I already feel as though I can’t possibly see them all in one trip. 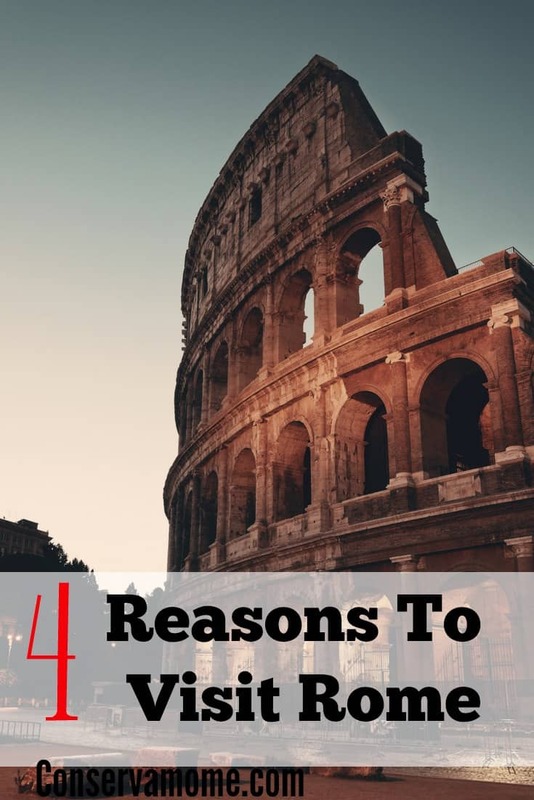 It would be rude not to visit the iconic Colosseum, to walk around the tombs of the Pantheon, or have lunch in the famed Piazza Navona square. Sitting in the sun drinking prosecco, watching the street performers and artists in a setting that dates back to the first century? Yes, please! I love taking in the culture of a new destination, and with the Pope staying practically next door to us, it would be terrible manners not to drop in! The famed Sistine Chapel is his official residence, and while I’m in such beautiful surroundings, I’ll be looking at the many classical and Renaissance paintings around me, including frescos by Michelangelo himself. The Vatican Museums are just next door too, so I’ll be sure to head in there next, home to some of the finest masterpieces ever created. Some of the best fashion designers in the world hail from Italy, but if you can’t find me in the designer shops on the high street, try the local markets, which I’ve heard are packed with authentic, handmade souvenirs to take home. One of the things I love most about Italy though is the food, so I’ll definitely make time to visit Campo de’ Fiori. This is the most popular food market in the city, not to mention the oldest – the perfect place to pick up new cooking tips. Finally, no trip to Rome would be complete without buying some Rome opera tickets and stopping by Terme di Caracalla. This is a magical, open-air theatre, where you can watch dramatic plays, theatre productions and classical concerts. I can’t wait to grab a picnic basket and lay a blanket out for the family. What a perfect way to end our trip! Have you been to Rome recently? I’d love to hear what you thought of it, so please leave your comments in the section below. My husband has visited Rome and we’ve always talked about going back together. I’d go for the history alone! I have always wanted to visit Rome. I always thought it was pretty. Omgosh it sounds AMAZING!! I cannot wait to one day be able to travel!! Right now its just not in our budget but I have so many places I want to see!! i’d like to see the ancient stuff. a tour with history in it. Although it was 11 years ago I had the chance to visit Italy it is still fresh in my mind. I traveled with my daughter and niece. We enjoyed the real Italian food and wine. Loved the people, outdoor markets and shops, especially the hand blown glass and mosaics. Venice was much more interesting to see than what you read about. We fed the pigeons in St. Mark’s Square, lol, great picture! The Colosseum was awesome. We did a walking tour and saw numerous historical sites. We passed an archaeological dig in process which I found fascinating and had a hard time walking away from. So many more memories and looking forward to visit again. I would like to visit Southern Italy on a return trip.